VILLAS AND APARTMENTS TO RENT IN ROME, ITALY. 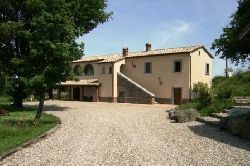 Welcome to our selection of holiday homes to rent in Rome, Italy. Rome is one of the religious and spiritual capitals of the world and you are sure to find many historic and religious buildings, along with many ancient museums that will leave you in awe. You can wine and dine at some of the most exquisite places, while admiring the many great and historic monuments, all in one place, for your convenience. Of course, there is always natural beauty to be seen, religious sites, and many, many more, when you visit Rome. You will be dazzled by all there is to do in this wonderful city, no matter what your budget is. Of course, one of the first things you may want to do is see the spectacular sights that Rome has to offer. When you visit the Scalinata di Spagna, which extends from the Piazzadi Spagna to Trinita dei Monti, you can see some of the best views of this ancient city. Of course, what would Rome be without visiting the Vatican, which is a historic religious site that sparks interest in many people? If you are looking for something different but full of culture, you can try the Piazza Crawl, including the Piazza Navona and Piazza Campo dei Fiori! The Piazza Navona actually follows an ancient circus and also includes two famous fountains by Bernini for your sightseeing needs! If you want to wander the city on your own, you can walk the ancient neighborhoods and the Piazza Santa Maria, which is home to one of the oldest churches in this marvelous city! Historically speaking, you also want to visit the Galleria Nazionale Di San Luca, which is a free museum to view only the best. If you want more than just this Galleria, try out the Aula Ottaganale, which is one of the many hidden treasures of Rome. If you do not feel like walking the town, you can find an archeobus that will give you a splendid tour of this city. If nightlife is your thing, you can find a wide assortment of fun in the old neighborhood of Testaccio. There are many clubs and shops in this area for your vacationing festivities. Looking for self catering holiday accommodation in Rome? Then below is a selection of Apartments in Rome and villas in Rome that can be rented direct from their owners. You can either click on each listing for further details or you can use our search engine on the left if you are looking for something in particular.